MANILA, April 27 -- The camp of former Senator Ferdinand 'Bongbong' Marcos Jr., welcomes the decision of Supreme Court sitting as the Presidential Electoral Tribunal (PET) setting a definite date for the preliminary conference on his electoral protest filed against Vice President Maria Leonor “Leni” Robredo. The justices made their decision to grant Marcos’ request for the setting of the preliminary conference on June 21, 2017 at 2 p.m.
”We welcome the PET resolution setting the case for the much awaited and prayed for Preliminary Conference. With this date on sight, finally,” Atty. Vic Rodriguez, Marcos’ spokesperson of Marcos said in a statement. "Senator Marcos will have his day in court and prove that the Vice Presidency was indeed stolen from him and from the people. It is time for the truth to come out," he added. The tribunal composed of the same 15 justices of the SC has decided to set just one preliminary conference for the protest and counter-protest, citing Rule 3 of the 2010 PET Rules that allows adjustment in rules" to achieve a just, expeditious and inexpensive determination and disposition of every contest before the tribunal." Also in the same resolution, the tribunal said it would conduct the preliminary conference on Robredo’s counter-protest at the same time. The resolution also directed both parties to file their preliminary conference briefs with the Tribunal and serve the same on the adverse party at least five days before the date of the preliminary conference. Further, the tribunal also requires both parties to file their respective preliminary conference briefs, which contain the following: The possibility of obtaining stipulations or admissions of facts and documents to avoid unnecessary proof, the simplification of the issues, the limitation of the number of witnesses and the most expeditious manner for the retrieval of ballot boxes containing the ballots, elections returns, certificates of canvass and other election documents involved in the election protest. On Tuesday, the PET denied the petition filed by Robredo seeking reconsideration of its March 21 resolution and directed her to pay the cash deposit as stated in the said resolution regarding the election protest filed by Marcos. ”The PET denied protestee Robredo’s motion for reconsideration of the Resolution dated March 21, 2017 and directed protestee Robredo to pay the cash deposit as stated in the Resolution dated March 21, 2017 within a non-extendible period of five days from notice of Resolution,” the Tribunal said. In the same order, the high court deferred action on Marcos’ omnibus motion to dismiss the counter protest until Robredo complies with the directive to pay the deposit. Last March 21, the PET ordered Marcos to pay PHP66,223,000 for the 132,446 precincts for his election protest against Robredo to proceed. The tribunal earlier required Robredo to pay about half of the cash deposit of PHP8 million last April 14. But after rejecting her appeal on the order, she was given five days from receipt of the latest order to pay the amount. The camp of Marcos said they would monitor closely where Robredo would get the PHP15.44 million to comply with the PET order. "She only has PHP8 million in her SALN (statement of assets, liabilities and net worth, and she cannot accept donations since she is an elected official. So we will watch closely where she'll get the PHP15 million," Marcos lawyer Vic Rodriguez said in an interview. ”We do not deny that Robredo has no sufficient personal funds to pay said cash deposit and that the properties stated in her SALN would not even suffice to pay the same. But this does not give Marcos the right to practically insult or even doubt Robredo’s financial capacity,” Macalintal said in a statement. ”Robredo’s SALN may not measure up to Marcos’ standard, but her SALN is just an affirmation of the fact that in Robredo’s long years of being a public servant, from being a Congresswoman of her district to being the Vice President of the country, and being the wife of the late DILG Secretary Jessie Robredo, she had never taken advantage of her positions to enrich herself while in public service that she could not even come up with P8M to initially support her counter protest,” he noted. Macalintal also said that it really hurts Robredo to be practically ridiculed and looked down for her being poor by Marcos and his supporters and be watched closely where she would get the said amount. ”Robredo may not have sufficient funds to finance her counter protest but she can assure one and all that every centavo she will spend to defend her victory as the rightful winner in the vice-presidential election will come from lawful sources which will be properly and transparently accounted for,” he noted. It will be recalled that Marcos filed an election protest against Robredo in June 2016, contesting 39,221 clustered precincts which are composed of 132,446 established precincts. Robredo, meanwhile, filed a counter-protest, questioning 8,042 clustered precincts which are composed of 31,278 established precincts. In arguing for the dismissal of the counter-protest, Marcos cited Rule 34 of the 2010 PET Rules which states “if a party fails to make cash deposits or additional deposits herein required within the prescribed time limit, the Tribunal may dismiss the protest or counter-protest, or take such action as it may deem equitable under the circumstances. Marcos also cited two decisions in election cases-Perla Garcia vs House of Representatives Electoral Tribunal and Rep. Harry Angping and Bienvenido William Lloren vs. Commission on Elections and Rogelio Pua Jr. in which the SC upheld the summary dismissal of the cases for failure to make the required cash deposits within the prescribed time limit. 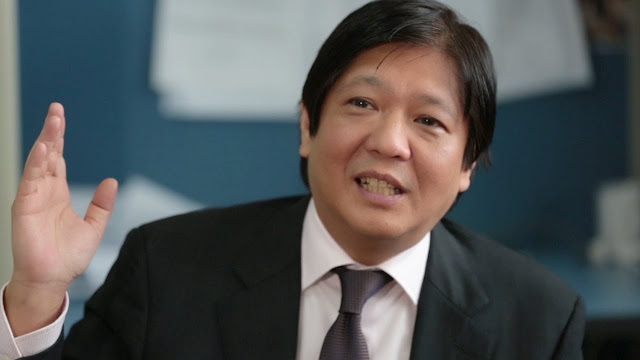 Marcos earlier said he decided to file the electoral protest due to the series of frauds, anomalies and irregularities that marred the May 9 elections and that such activities made sure he would lose to Robredo, the vice presidential candidate of the administration’s Liberal Party.